If you’re not familiar with the short-range benchrest game, and want to learn more about this most precise of all shooting disciplines, Canada’s Peter Cronhelm has prepared an excellent summary of Benchrest Basics. Cronhelm covers everything from the origins of the PPC cartridge, to the special lingo used at short-range benchrest matches. Screamer: A group measuring less than 0.100″ at 100 yards or less than 0.250” at 200 yards. Dope the Wind: Ccompensate for the effects of wind by shifting aiming points on the target. ‘Ultimate PPC’ by Speedy with engraved Stiller Viper action. Matches are usually shot at 100 and 200 yards with some including the 300-yard distance. Individual scores are determined by measuring the actual size of the 5-round group[.] Aggregate scores are the average of all the groups shot over the course of the match. [In short-range benchrest for group] the placing of the group on the record target is not considered, only the size of the group. At the top levels, 5-round groups are usually a single ragged hole in the target. To ensure that the competitors fire 5 rounds into the target, a moving backer paper is installed behind the record target. This way it is easy for the match officials to see that all 5 rounds were fired. For each target, there is normally no limit to the number of sighting rounds a competitor may fire, but there is a time limit for record fire. A total of 5 groups (per class) are fired in a typical Benchrest match. Winning aggregate scores are commonly in the 2s (less than 0.3 inches), with individual groups in the 1s now common, and individual groups in the zeros (less than 0.1 inches) becoming more common. How is it possible to fire a group measuring only 0.1 inches across with a bullet that is 0.243 inches in diameter? Group sizes are measured from center to center of the two widest bullet holes. 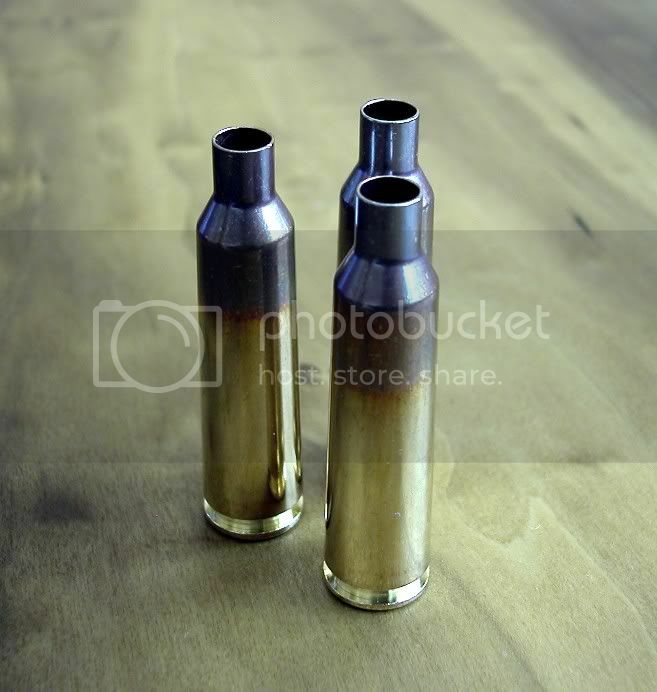 As a result bullet size is removed from the equation and groups from different caliber rifles can be compared on equal terms. If you want to learn about “point-blank” BR, give Peter’s well-written article a read. Found on the Canadian National Firearms Assn. website, Peter’s fact-filled summary provides a quick but thorough explanation of the rules, gear, and shooting styles used in the short-range benchrest game. Black Rifle and Targets photos courtesy Jim Borden, www.BordenRifles.com. Share the post "Benchrest Basics by Peter Cronhelm"